The Valley is hot, dry, plagued with poor air quality. Newcomers, visitors and even longtime residents might be forgiven for assuming these conditions make for an inhospitable outdoor recreation environment, especially for runners — those diehard athletes, both casual and competitive, who train and race year-round. It’s true, Fresno is probably not the first city that comes to mind when one makes a list of top running cities (a 2012 report from Forbes Travel Guide ranked Chicago, New York City and Portland tops). The runners who call the Valley home, however, are likely to disagree. With its warm weather (it may be hot, but at least it doesn’t snow), proximity to nearby trails and a first-class locale that plays host to races throughout the year, Fresno is, if not quite a runner’s paradise, then a truly great town in which to be a runner. Though the popularity of recreational running has seen tremendous growth nationwide in the past five to 10 years, Fresno has always been a bit of a running town if you knew where to look. The annual Father’s Day Run, started in 1965, celebrated its 49th birthday this year, making it the second-oldest community “fun run” on the West Coast. Likewise, the Shinzen Run and Walk, held annually at Woodward Park, just celebrated its 30th year. And although the recent movie McFarland, USA depicted the CIF Cross Country Championship — the annual state meet for California’s best high school cross-country runners — as taking place in Los Angeles’ Griffith Park, Fresno’s own Woodward Park has actually hosted the meet since its inception in 1987. Many of these early local races were directed by Ken Takeuchi. Talk to almost anybody who has been involved with Valley running for any length of time, and his name inevitably comes up. 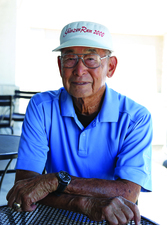 Takeuchi, who began running competitively in the 1970s, began directing races in 1986 after noticing that many of the out-of-town races he competed in did not start at the advertised time. This, he says, caused frustration for out-of-town racers who had to drive or fly home, as well as elite runners who often have very specific and regimented pre-race routines. “I got to thinking there must be a better way to do this,” he says. A new calling as a race director was born out of this frustration. Takeuchi’s Pro Race Group now sponsors the Valley Runner of the Year Series, a collection of races in which participants accumulate points based on their finishing placement. At year’s end, winners are crowned in six divisions (male and female Open, Masters and Seniors). The Series began with seven races in 1986 and has grown to 15 as of 2014. At first, runners in all age groups participated together in the open competition’s male or female divisions. The “open” category still exists for runners 39 years of age and under; the series added masters (age 40-49) and senior (age 50 and over) divisions as it grew in popularity. based on their finishing placement. 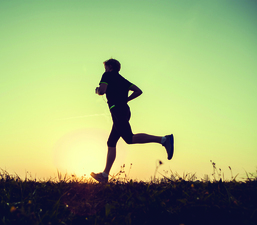 Runners don’t have to participate in the Runner of the Year competition or enter every race but the year-long contest, with its element of friendly competition, has helped to shape the running community. Though taken seriously by participants, many who appear at or near the top of the leader boards year after year, it also fosters a community spirit as runners see the same faces at race after race. “It has gotten so many people interested in running,” he adds. It’s not just elite, Runner of the Year contenders who are toeing the starting line at area races, though. Samansky and Takeuchi are both quick to point out that the area’s running community includes less competitive athletes as well as one group that may not even be considered runners, but are just as visible at races: walkers. The Bad News Bears Runners started as a workplace fitness support group with six core members in 2011. It now has a membership of almost 200 runners and walkers. Still, she says, as their endurance grew and fitness levels increased, their competitiveness increased as well. Now it’s not unusual to see runners, identifiable by their bright green shirts emblazoned with a picture of a running bear, representing BNB at races throughout the Valley and beyond. Alexander notes that many of their members are not fast, and some even walk. The diversity of the community and a growing number of race entrants who only walked led Takeuchi to push for changes in the awards structure at the races he directs. For years, he says, walkers paid the same entry fees to enter the same races but were shut out of the awards categories, which he thought was unfair. “A lot of people can’t run, but everybody can walk,” he points out. Now, many local races have added awards categories to acknowledge and reward those who choose to walk either because they want to, or because they may not be ready or physically able to run a 5-or-10k. In the walking category, walkers must walk the entire race to be considered eligible for the awards. People who have never been involved in any type of running or walking sports, says Takeuchi, have gotten involved because of this extra incentive. The Valley’s recreational areas also make for a great training environment. Runner of the Year races are held throughout the Valley, from college campuses to Bass Lake, but six of the 15 races scheduled for 2015 take place on courses at Woodward Park. The venue’s trails provide a home for dozens of other local races — cross-country meets at the elementary school through college levels, 5 and 10ks unaffiliated with the Runner of the Year series, and untimed “event” fun runs like Color Me Rad (in which runners are “bombed” with neon dye as they run through “color stations” placed throughout the course). Thus, many local runners are able to train on the very trails they race on. 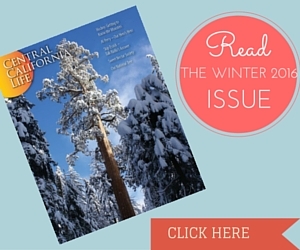 The Lewis Eaton Trail, Clovis Old Town Trail, Dry Creek Trail and San Joaquin River gorge trail system are all local favorites, says Alexander. The Runner of the Year Series races and the establishment of longer endurance events like the Two Cities Marathon and Half and Central California Classic (now Valley runners don’t have to travel out of town to run a marathon or half marathon), the growth of clubs that train people to run and race, the addition of walking categories, and a runner-friendly environment have led to an explosion in race participation, but Takeuchi points to another reason for running’s popularity in the Valley: local races are affordable. “Our entry fees,” he says, “compared to the rest of the state and nation, are very reasonable. I hear from the families that they are lucky to be able to run as a family here because they can afford it.” Indeed, many half-marathon entry fees begin at $75, with major destination races like the Disneyland Half Marathon topping out at $199. Comparatively, the Two Cities Half Marathon has an early bird entry fee of just $65. Many 5ks in larger cities start at $25 or $30, while local 5ks are often priced in the $20-$25 range. For a family of four or five runners, those differences are significant, Takeuchi stresses. He adds that some races, like Sanger’s Blossom Trail Run and Reedley’s Fiesta Run, are tied in to other community events that encourage runners to stick around after the race and enjoy family-friendly activities like car shows, food vendors, and parades. On a sunny spring afternoon, it’s not unusual to see area high school tracks crowded with young racers competing for their schools, many of whom, like Cirrincione, are introduced to running through elementary school cross-country and track programs. Kim Wilson, whose three daughters have participated in Fresno Unified’s running programs, says her family also enjoys participating in local and out-of-town races, with oldest daughter Madeline (13) now running longer distances like the 10k. Indeed, Samansky says, many families have made running certain races together an annual tradition, particularly those that benefit a cause close to a family’s heart or the ones centered around holidays like the Fourth of July and Thanksgiving. “People seem to want to come together on holidays and do something. In all of those races you get to see everything — beginners, runners and walkers, the Jesus Campos’ of the world,” he says. Like BNB Runners, Destination Adventure Racing (DAR), another local running club, has several weekly training opportunities and offers coaching for local runners of all levels but, because many of its members enjoy spending time together off the trails and tracks, also offers organized opportunities to get together socially and travel together to out-of-town races and running retreats. “Whether you are a seasoned runner or just starting out, you have friends out there who want you to do well and show up for the workouts. The camaraderie among runners is unlike anything I have experienced,” says DAR member Samantha Jaramillo, of Kingsburg, who qualified to run the Boston Marathon training under the tutelage of DAR’s coach and co-founder, Farshad Oreizi. That refrain is echoed again and again by local runners. “We all pull together at local races whether we’re running, volunteering, or being a spectator,” says Michael Hess, one of DAR’s co-founders. Hess is a friendly fixture at Valley races, if not as a racer then as a pace group leader or course volunteer. Alexander also gives credit to the very vital part of the community — the race directors, volunteers, sponsors, and spectators — that provides support for the runners. She also appreciates Fleet Feet Fresno and Sole 2 Soul Sports, another specialty running store with locations in Fresno, Visalia and Bakersfield. Anyone can buy a pair of running shoes, run a couple of miles a few times a week and call herself a runner. 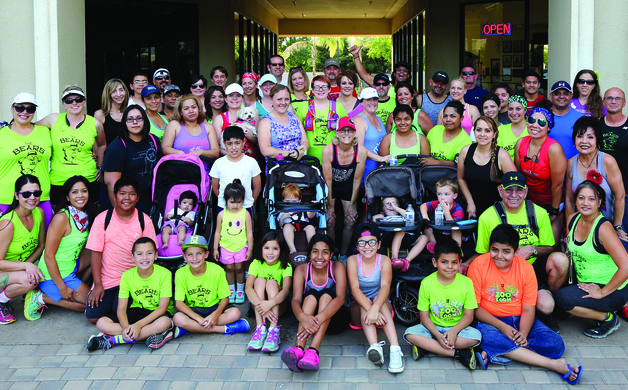 But it’s people who really make a community and that’s what has grown as more and more Fresno-area runners have laced up their shoes and encountered like-minded athletes on the trails and at races. It may not receive the recognition of running cities like Chicago, New York and Portland, but Valley runners are proud to call it home. Has information about the Valley Runner of the Year Series, participating races, and current standings. Provides calendar of local and in-state races of interest to Valley runners, links to race results, and running news. Written by Katie Fries, a Fresno native and graduate of Fresno Pacific University. Formerly based in Chicago and the Bay Area, where she wrote and edited for several publications, she returned to Fresno in 2013, where she continues to write on various topics. 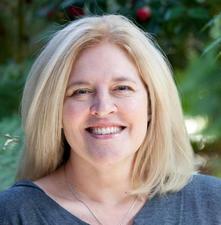 She is an active member of Fresno’s running community.